Although we have not been in farming for long, we have always believed in "living light on the land". All of our birds have plenty of access to pasture. We are strictly a backyard (hobby) farm. We own exactly one acre of land. We do sell eggs and whole chickens, but just so we can get more birds! Sound familar? It doesn't discuss the coops at all. 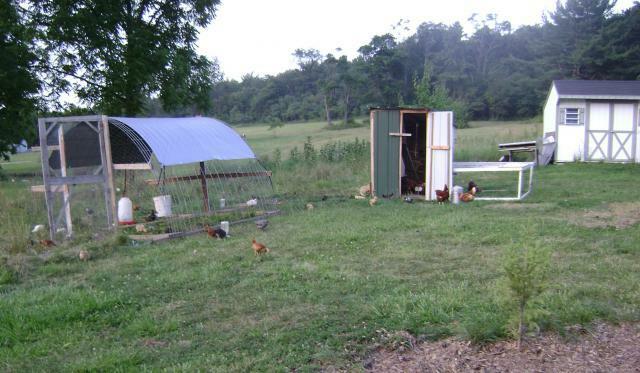 How do your chickens do in an open air coop? Do you keep them there year round? I am also from PA and I was wondering if they can cope with the winters. Thanks!